Three of our students have put in wonderful performances in their chosen sports. 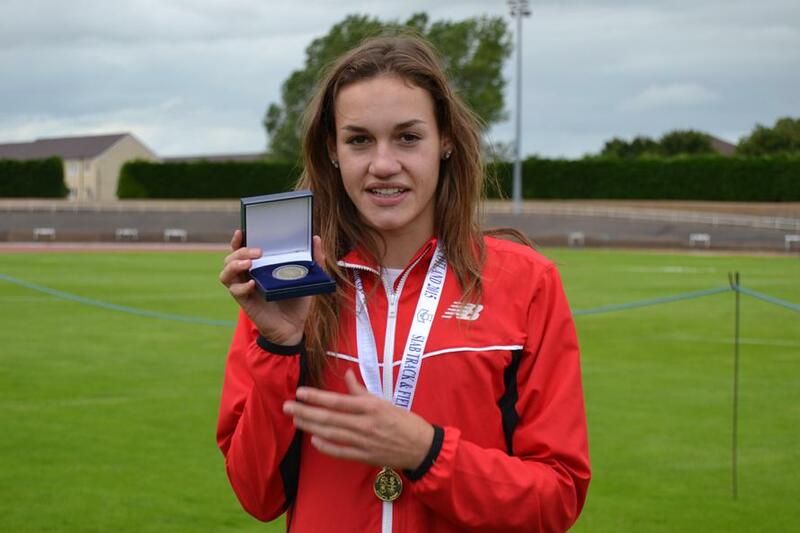 Golden pupil Holly Mills has clinched another national title, after competing at the England Athletics under 17 and under 15 championships in Bedford on August 29 and 30. After a fine series of long jumps on the Saturday, she delivered with her fifth round effort of 6.14 metres to win the competition and be crowned national champion. Among the crowd was long jump fan, Bob Rae, the managing director of BDZ Holdings Ltd, based in Oxford Street, Newbury, who recently unveiled a £500,000 package to support Holly, with hopes of propelling her towards competing in the Tokyo Olympics in 2020. 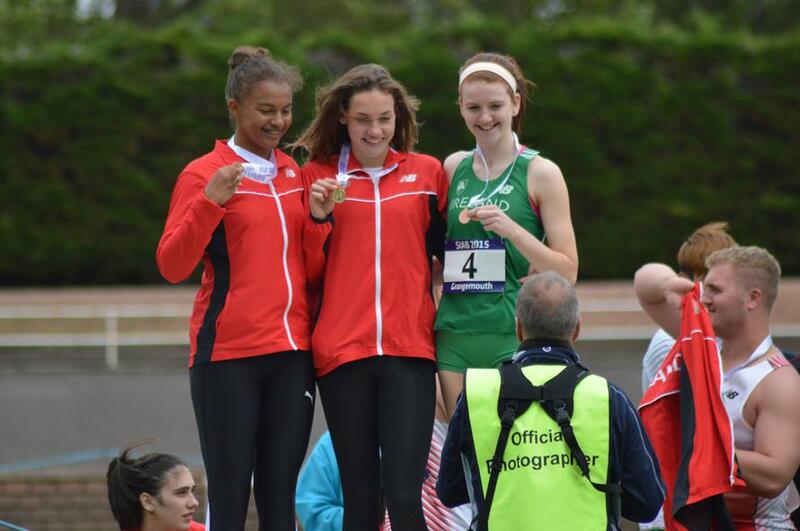 Recently ranked ninth in the world at under 17 level, Holly has already gained a gold medal this year and won her first England vest in The Schools International Athletic Board Games in Scotland. 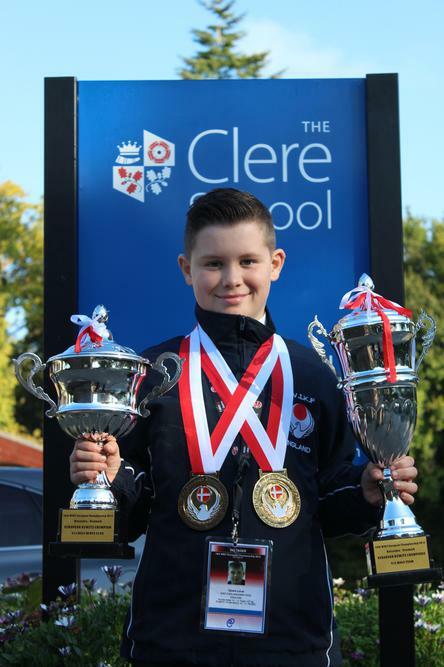 Lucas Spiers, aged 11, has just returned from Denmark, where he competed in the 18th WIKF (Wado International Karate-do Federation) European Championships in the Graakjaer Arena in Holstebro. Lucas, a Karate black belt 1st Dan, did exceptionally well winning two gold medals including trophies. The first was for individual fighting (knock-out) in the 10-11 weighing more than 37 kilos category. The second was for Team Kumite (fighting) age 10-11. Around 15 nations competed over the weekend from Friday 25th to Sunday 27th September. Lucas started Karate at the age of 6, when he received a taster session as a birthday present. It was love at first fight! He immediately started lessons at the Su-ha-ri Karate Club held at Tadley Swimming Pool, where he goes to lessons once a week for up to 3 hours. Lucas first started competing in the UK in 2010. His first international competition was in Cyprus in 2014, when he won a Gold for Team Kumite and a Bronze medal for individual. “Karate is a fun sport, but you also have to be very brave to go into a contact sport” says Lucas “ and you have to stick with it and keep on going even if you get hurt. You must never give up”. Lucas is in Year 7 at The Clere School. He joined us in September from Tadley Primary Community school. Since joining he has settled in very well and made lots of new friends. “The Clere is a small school and it has very good behaviour with very good teachers. I love it” says Lucas. “We are very proud of Lucas and all his sporting achievements. We look forward to following his successes and progress over the next 5 years at The Clere.” Says Richard Peters, Curriculum Leader PE. If Karate become an Olympic sport, we hope to enjoy watching Lucas representing his country at Olympic level in the future! 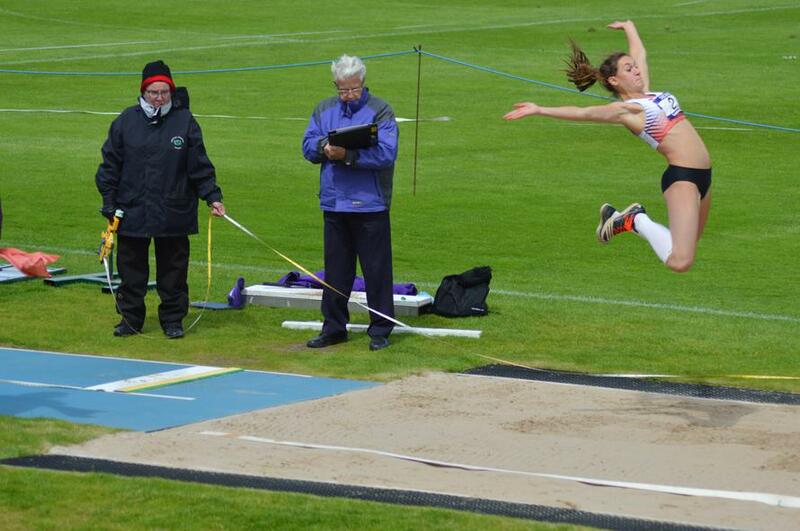 She completed a hat-trick of national titles last September when she won the England Athletics National long jump title, with a best of 5.76m. Alicia Cox, aged 14 has just been crowned 15-16 Women’ s British Tumbling Champion at The British Tumbling and Trampolining championships in Liverpool on 12th/ 13th September 2015. Alicia beat the current World Champion, and others who are on the national squad. In the prelims, her first run achieved her highest ever score of 31.9 placing her in the top 3. Her second run didn't go as well as planned, but she still managed to make the final in 5th. She was 4th up to compete in the final. “Not knowing what the other girls ahead of me would do, I stepped up and competed at my best to secure a good score” says Alicia. In the final she was the only gymnast to reach a score of 31.00. Her execution scored her a personal best score of 9.6/10. She was the youngest to compete in the whole age group, and waited anxiously for the results as the other girls competed. She was thrilled to see her score stay at the top of the score board throughout the event. “The experience was incredible, and showed that all the dedication and hard work always pays off” says Alicia. Over two world trial events - one being a competition held at the National Sports Centre in Lilleshall and the other being the British Championships, Alicia made it into the 15-16 girls World Age Team. The World Age Tumbling and Trampolining championships will take place in Odense, Denmark at the end of November. She will be attending training camps in Lilleshall leading up to the event, in which the World Age team have meetings and train together with the national coaches and Olympic gymnasts.